Welcome to the official website for Practical Process Improvement (PPI). 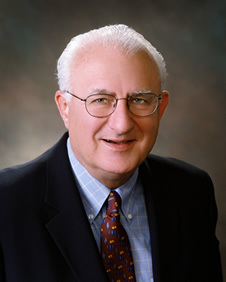 My name is Ed Zunich and I developed this program as a comprehensive approach to improve enterprise profit. PPI uses time-tested methods for enterprise process improvement with a goal of gaining market leadership. In the following pages you will review some frequently asked questions about PPI, the fundamental strategies of PPI, and books and training materials available to implement the program. 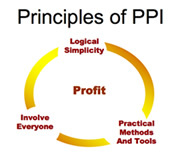 When you finish exploring our website, you should have a clear understanding of what PPI is all about. Practical Process Improvement is a simple method of making money through an effective, systems approach to enterprise management. There is one common objective: to boost profit through use of proven methods for continuous improvement. The methods employ a strategic plan, enterprise metrics, and statistical methods (primarily, process behavior charts). PPI teams use simple and effective process improvement tools that result in reduced costs and greater revenue. All efforts focus on customer satisfaction in order to build customer allegiance and market leadership. Practical Process Improvement operates on two paths simultaneously. First, PPI increases cost savings by continual process improvement and reducing waste. Second, PPI grows revenue through innovation and a focus on quality and customer satisfaction. PPI leverages the combined effect of cost reduction and increasing revenue to accelerate profitable growth. PPI is successful because it involves everyone in the enterprise – from the boardroom to the shop floor. The complete PPI curriculum includes PPI 2020 – The PPI Program Team Training Workbook and several support guidebooks including The PPI Instructor Guide, The PPI Managers Guide, and The PPI Team Project Guide. A comprehensive text is also available: Practical Process Improvement, A Program for Market Leadership in the Twenty-First Century. A description of these books is contained in one of the following pages. All books are available from spcpress.com.